Traditional smooth and mellow Scotch whisky distilled, matured & bottled in Scotland. 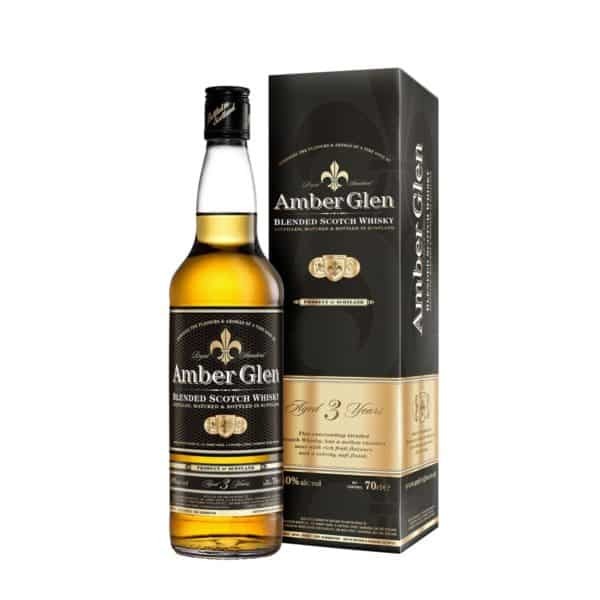 This classic Scotch whisky is especially blended from a selection of the highest quality single malts & single grain whiskies and bottled at 40% Alc.vol. Traditional smooth and mellow whisky distilled, matured & bottled in Scotland. It has a clean, crisp aroma with hints of Vanilla giving way to a mellow taste with sweet richness. An ideal blended whisky for use in cocktails and mixers or tastes just great neat or on the rocks!. Hope this email finds you well.Just a quick note to let you know that on Saturday I invited 5 friends over, all of them quite gourmet-type themselves, and poured some of your Amber Glen into their glasses to compare it -blind- against JW Red, JB, Ballantine’s and Famous Grouse (so some of the competitors in the same potential price range) and Amber Glen was placed first above the rest. 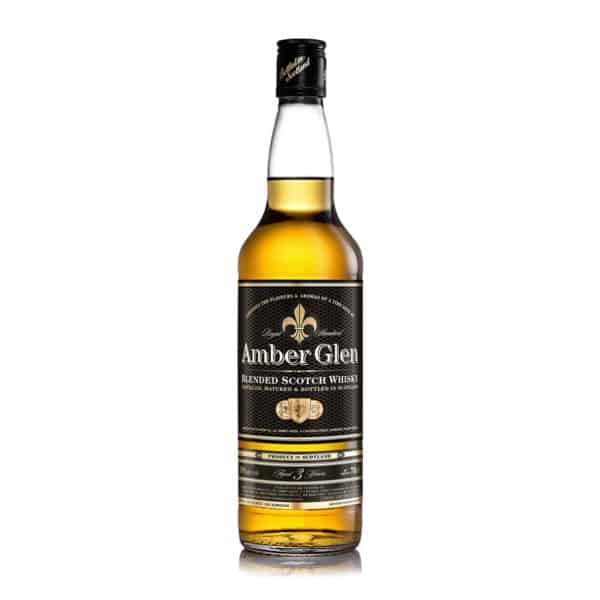 Amber Glen Blended Scotch Whisky has, in my humble opinion, filled a gap in the market, lying cleverly between the pricey premium products and the more run of the mill blends. The mellowness of the grain is remarkable and the outstanding quality of the resulting dram affirms that the blending has been carried out by a true master of the art. In terms of a food match for Amber Glen Blended Scotch Whisky, try adding a drop or three to a sweet marinade for lamb, or drink alongside a rich paté or selection of cheeses served with a sweet chutney.